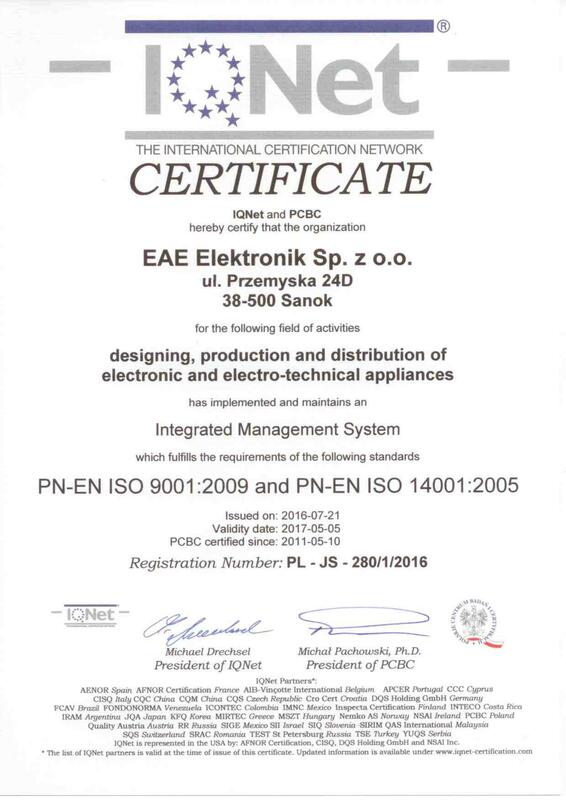 We are pleased to inform that we have acquired Integrated Management System Certificate. 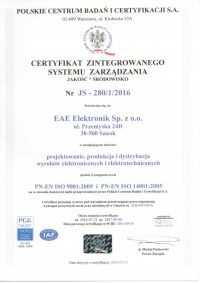 Certification of the Environmental Management System’s (EMS) compliance with ISO 14001 requirements was carried out in July. 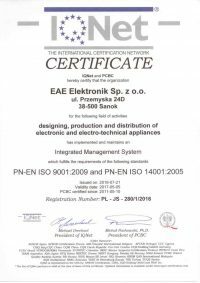 At that time we also passed an audit proving our successful fulfillment of provisions of ISO 9001 standard, as implemented in 2011. 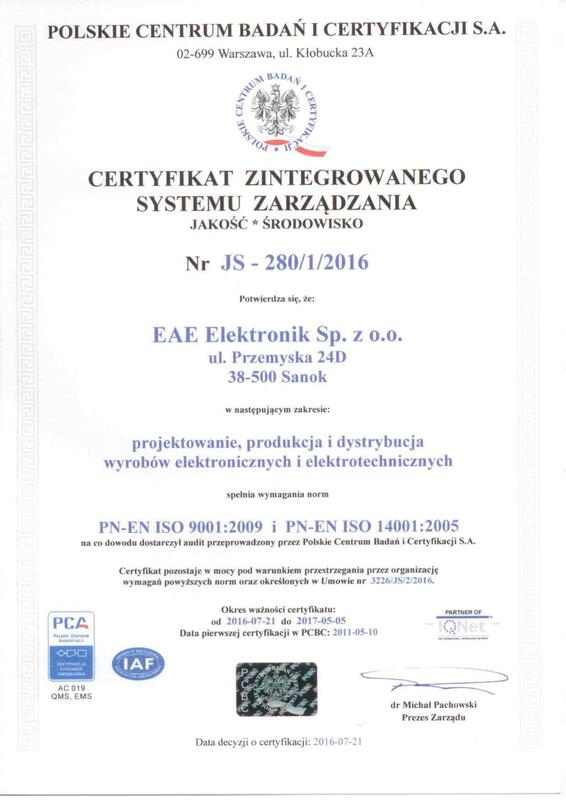 IMS Certificate is an acknowledgement that EAE Elektronik company complies with quality as well as environment-protection terms within its activities including designing, production and distribution of electronic and electrotechnical devices. It shows that we endeavour to make our customers fully satisfied with the services of ours.